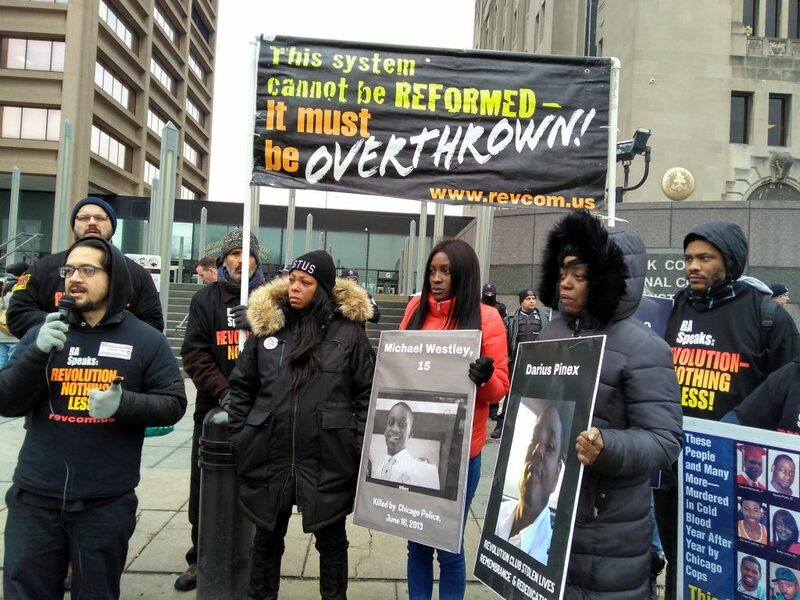 Revolution Club, Chicago: January 18—Last October, a jury found Chicago cop Jason Van Dyke guilty of second degree murder of Laquan McDonald and 16 counts of aggravated battery. Today, a judge handed down a sentence for Van Dyke that is a sickening, brutal beat-down of Black people and an outrage against humanity. 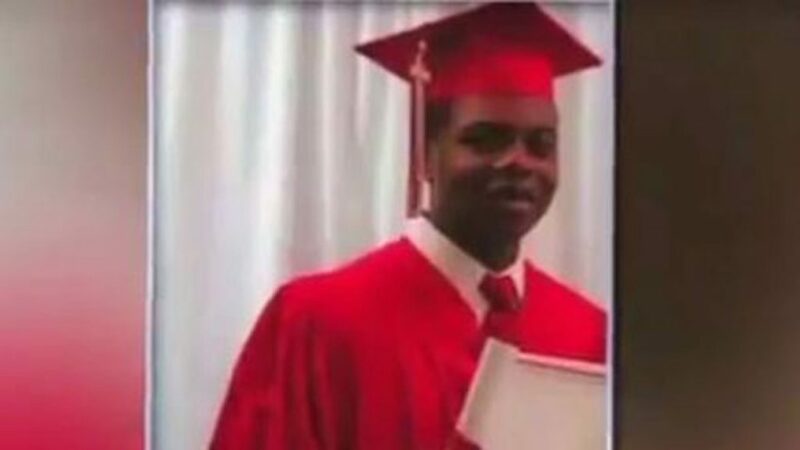 For the racist murder of Laquan McDonald, the ripping away of the life of a 17-year-old who was loved and was just beginning his life, this police officer got a sentence of 6 years, 9 months—and he could be out in half that. This comes just one day after another judge handed down a verdict of “not guilty” on three former and current Chicago cops, including Van Dyke’s partner, on charges of lying about and conspiring to cover up the murder of Laquan. After a day of this harrowing witness testimony revealing that Van Dyke was a terrorist-at-large hounding and brutalizing Black people long before the less than 15 seconds he took to decide to murder Laquan McDonald… after thousands and thousands of cases of police getting away with murder after murder after murder of Black, Latinos, and Native American people… in a courthouse that every day is locking away the lives of Black and Latino people in a meat grinder of mass incarceration… after America’s entire history of white supremacy and lynch mob terror that these police proudly carry on into today… after all the struggle of the people and the “dragging truth into light” required to finally get ONE of these killer cops found guilty of murder… This sentence, this sickening charade of a punishment, spits in the face of everyone who has a heart for justice. This comes as the second in a 1-2 punch after the full acquittal of the three officers who were tried for the vast conspiracy to cover up and lie about the murder of Laquan McDonald. Ironically, the outrageously light sentence on killer cop Van Dyke—and yesterday’s acquittal of three fellow pigs—comes at the start of the MLK Day weekend, which supposedly marks how far Black and other oppressed people have come in America. In fact, this sentence and yesterday’s verdict send the message loud and clear that there are virtually no circumstances in America under which a cop can be seriously punished for murdering a Black man, woman or child, or for systematically covering up and lying about these murders. This sentence and yesterday’s verdict strengthen the already devastating genocide of police terror and mass incarceration targeting Black and Brown people. This sentence, and yesterday’s verdict, stand as a declaration and announcement of the absolute bankruptcy and worthlessness of this system and its supposed mechanisms of justice, and the crying need for revolution to overthrow this worthless system. It has been true since day one in this country that white supremacy is woven into the fabric of America. What’s needed to bring an end to this is actual revolution, the overthrow of the system of capitalism-imperialism. What wasn’t always true, but IS true now, is that we have the science, the strategy and the leadership to lead millions to make that revolution. So now that this system has shown you, again, its complete illegitimacy, what are you gonna do? The Revolution Club stands for two basic principles: “Humanity Needs Revolution and Communism” and “Fight the Power, and Transform the People, for Revolution.” The Revolution Club is where you get organized to fight the power today to STOP the horrors of the system, and to transform the people, FOR REVOLUTION.